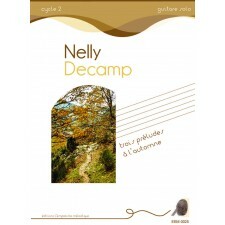 Nelly Decarnp has written some lovely works over the years and produced a nurnber of fine CDs. This latest trilogy of preludes have a nostalgie, haunted quality that I imagine goes with most people's associations of autumn. N°1 is a largo in dropped 6th with a reliance on large chords stately moving against a lonely melody line. N°1 is harrnonically interesting as it refuses to sit in one key but moves around rest­ lessly (in spite of its slow gait) going through various keys in the process. 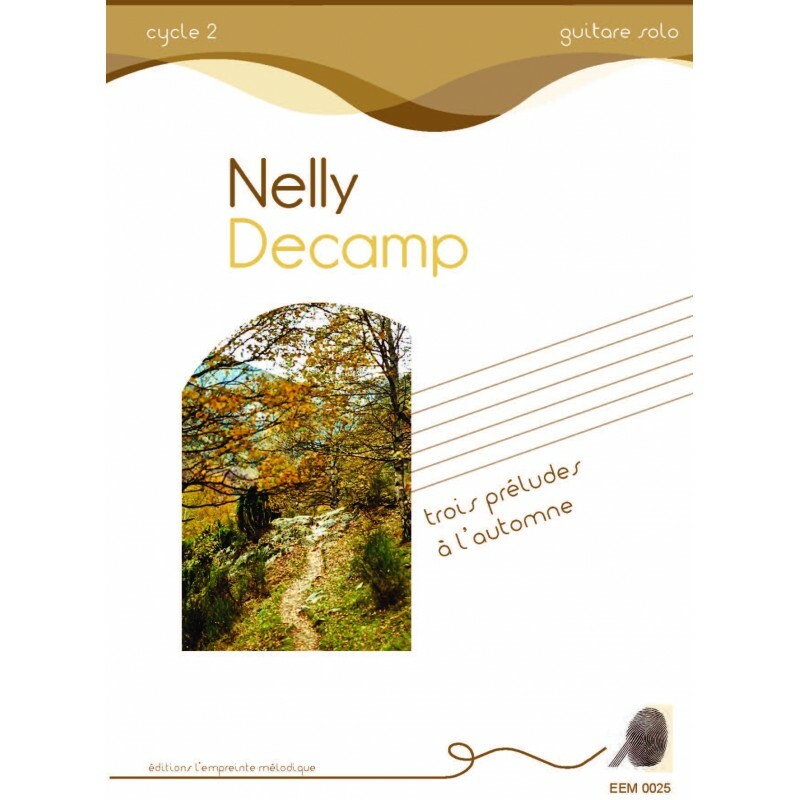 No2 is marked ritmico, and consists of a relent­ less semiquaver arpeggiation that constantly uses open strings against fretted notes higher up the fingerboard to create its gentle clashing, whilst the final third prelude is largely in quavers rnarked ben rubato, and is slow and hesitant in its lonely beauty. 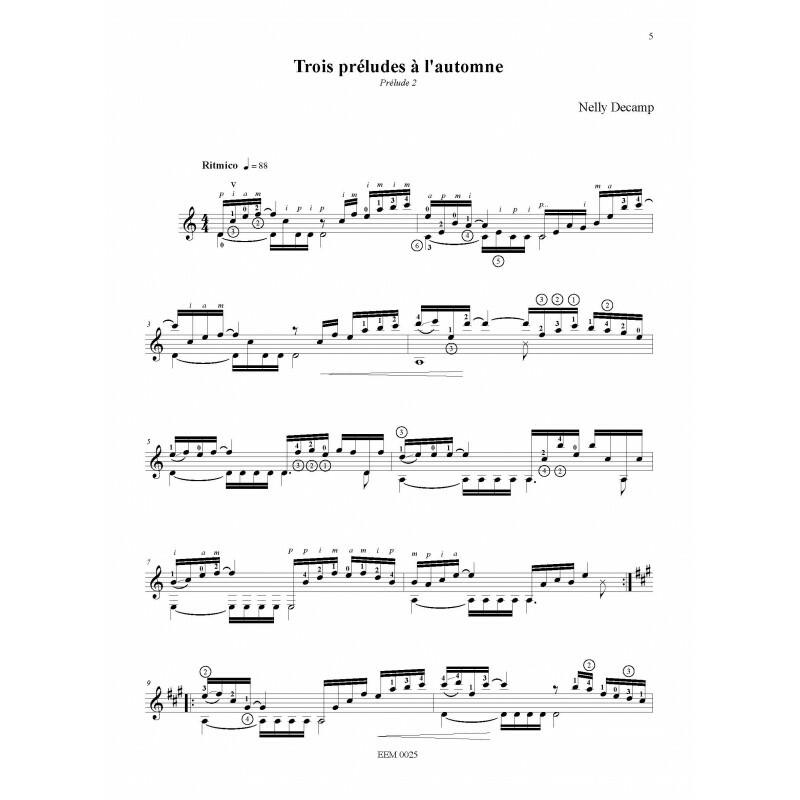 All the three pieces are of a certain difficulty but with careful preparation would sound fabulous in a recital for any decent players. As I said before, you can always trust this composer to produce something melodie and interesting and a little bit different from the norrn, which she does here admirably.